Let yourself be guided, especially if you are a beginner, by these rich and entertaining Japanese lessons. Texts, vocabulary lists, grammatical and cultural explanation, everything is here to learn Japanese step by step. A quiz at the end of each lesson lets you check what you've learned. Hiragana, Katakana, Kanji, here are the three Japanese writing systems! Start by learning the Hiragana and Katakana at the very beginning of your Japanese learning. Once this first step is finished, learn the Kanji. Interactive exercises let you win learning points and progress: you start as a white belt, 0 points. Do you have what it takes to become a Sensei? 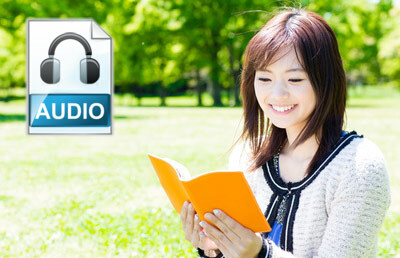 Japanese audiobooks! Yes, but not only audiobooks. The Assisted Reading tool is exceptional: click any sentence to listen to it, and get a list of all the words used in the sentence along with grammatical info, verb conjugation, and much more. Much better than a Japanese lesson, a real immersion into the Japanese language. Japan Activator contains thousands of words with audio pronunciation to train your ear and help you to speak Japanese the right way from the beginning. Also listed here are the words that you will come across in the Progressive Japanese Lessons. The interactive tools let you learn and repeat your Japanese vocabulary. 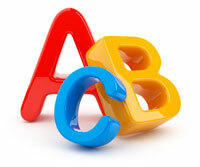 Learning vocabulary is one of the most important factors in mastering a foreign language. A real gold mine for anyone willing to learn Japanese and go beyond the beginner level. This section uses examples and audio samples to explain numerous grammatical Japanese patterns. These documents on Japanese grammar are sorted by ranks (belts), and JLPT levels (Japanese Language Proficiency Test). Because some aspects of the Japanese language are specific to that language and harder to learn, Japan Activator offers specific modules. Modules for Japanese counters and Japanese numbers teach you how to count in Japanese, and you'll be quick to realize that it's not always the same as in English. Get introduced to the Japanese particles, Japanese adjectives and Japanese verbs, too. So you can finally visit Japan? No time to dive into all the ins and outs of the Japanese language? Are you soon leaving for Japan, but you'd still enjoy getting by a little in Japanese? The phrasebook holds more than 900 common phrases grouped by everyday life's themes. To help you learn these Japanese phrases and sentences, an exercise is used that keeps you focused by asking you written or oral questions.